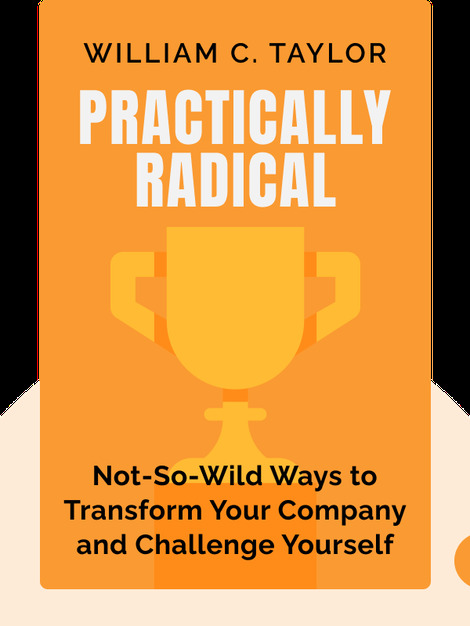 Practically Radical (2011) is a strategic guide to navigating today’s fast-moving world of business for leaders keen to set themselves apart from the crowd. Full of clever tips and insights from today’s most innovative companies, it argues for the need to rethink tried and tested methods and learn to think outside the box. William C. Taylor is an influential writer, public speaker and business expert. He co-founded the monthly business magazine Fast Company. 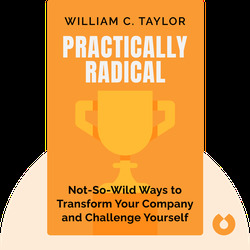 Taylor has written several acclaimed books on company strategy including Simply Brilliant (2016) and is the co-author of Mavericks at Work (2006).